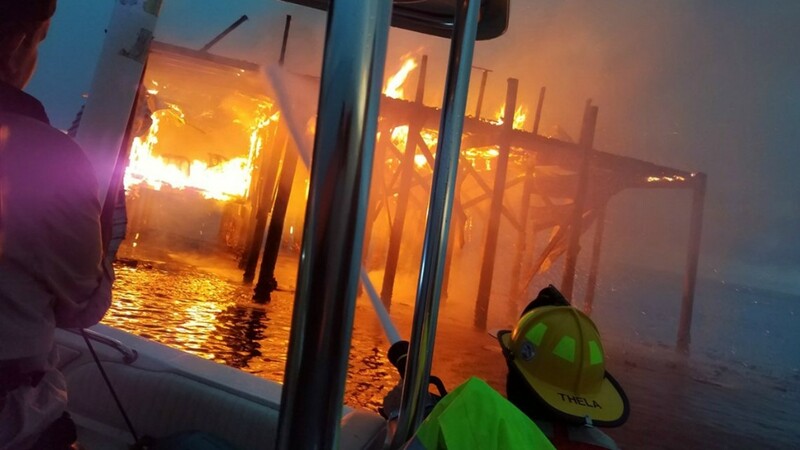 Firefighters from Port Richey and Palm Harbor battled a large stilt home fire Saturday over the Gulf of Mexico in Pasco County. 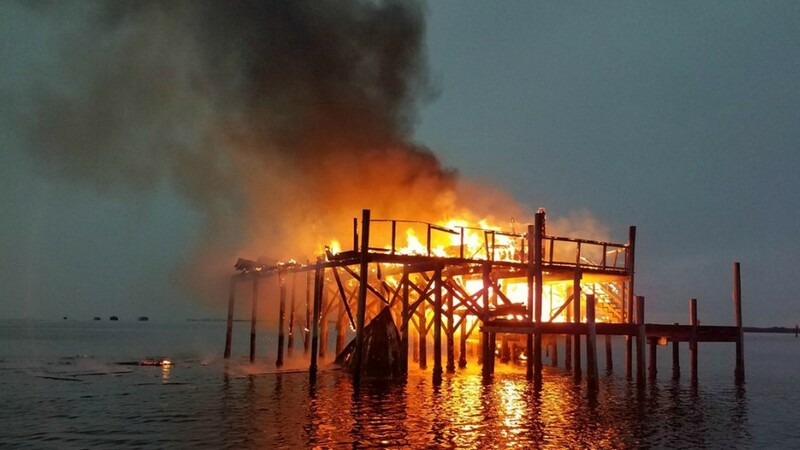 Lightning is being blamed for a fire destroyed a well-known stilt home Saturday night over the Gulf of Mexico at the mouth of the Pithlachascotee, or Cotee River, in Pasco County. 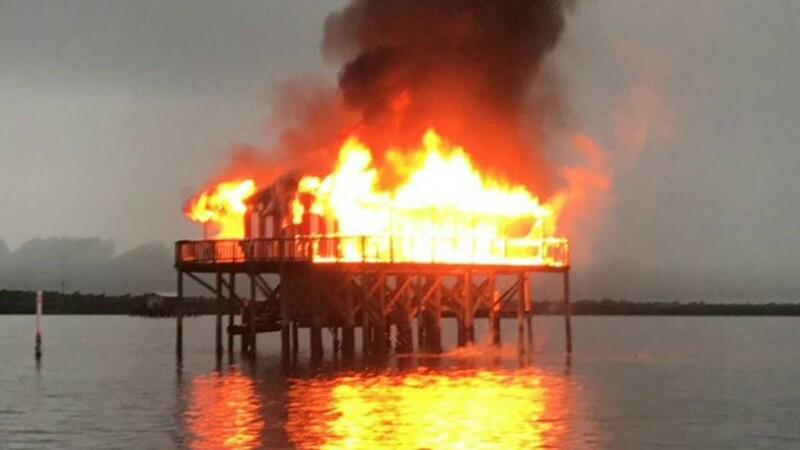 Firefighters were dispatched around 7:50 p.m. to the house, known locally as the "American flag stilt home." 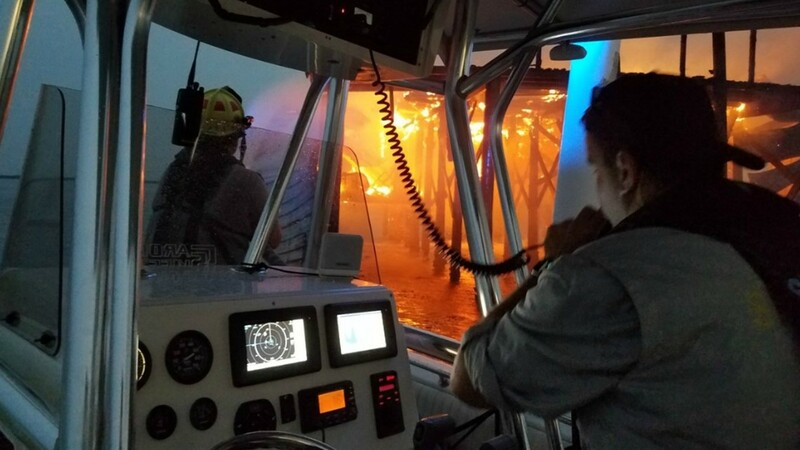 With the help of the Pasco County Sheriff's Office's Marine Unit, a fireboat from Palm Harbor and a portable fire pump from Port Richey Fire Rescue, first responders from multiple agencies worked together to extinguish the flames. As of 9:30 p.m., firefighters were still putting out hot spots. Nobody was inside the home, and there were no injuries. Pasco officials said the fire was caused by lightning. Boaters were asked to avoid the area due to possible floating debris.